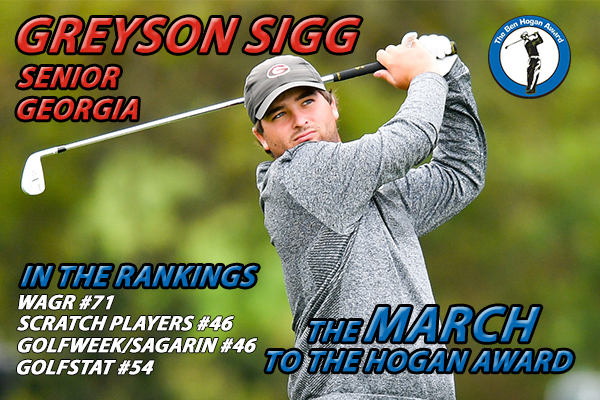 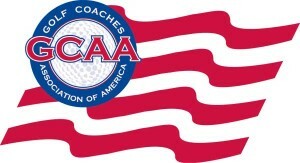 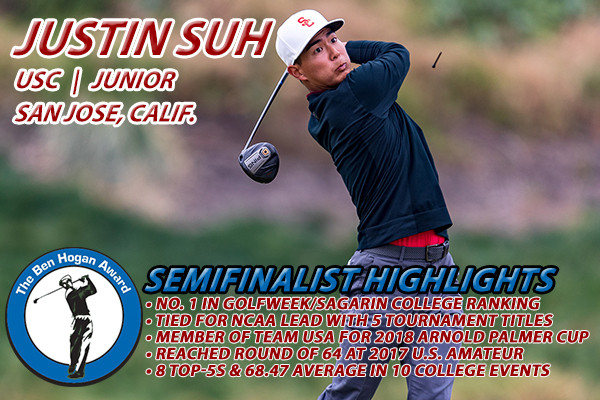 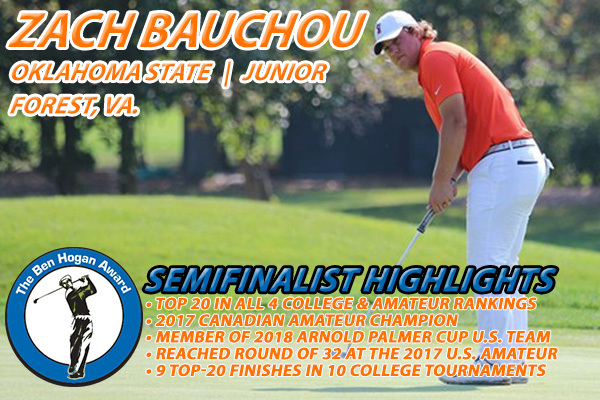 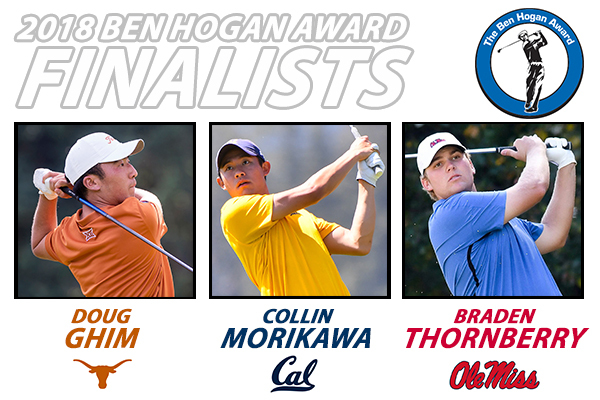 Is one of just four players currently ranked among the top 15 in all four major amateur and college golf rankings (Scratch Players, WAGR, Golfweek/Sagarin and Golfstat). 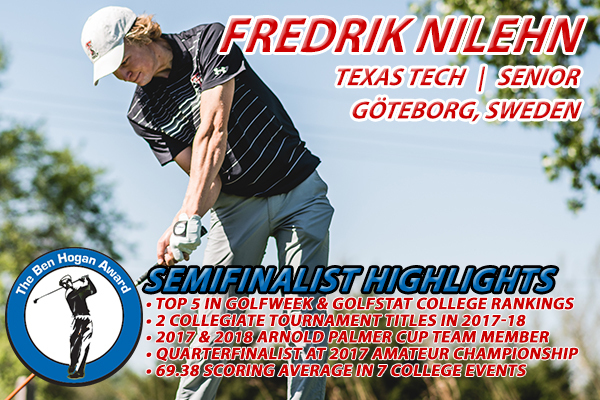 Is the highest rated Canadian amateur golfer in the world and competed for Team Canada at the 2016 World Amateur Team Championships. 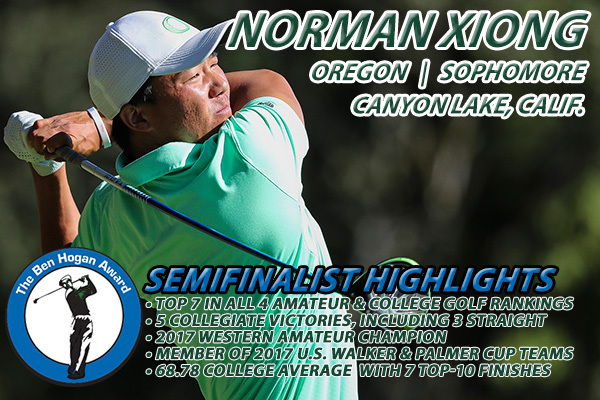 Shared ninth place at the PGA TOUR’s RBC Canadian Open last year and also earned the Gary Cowan medal as the low amateur. 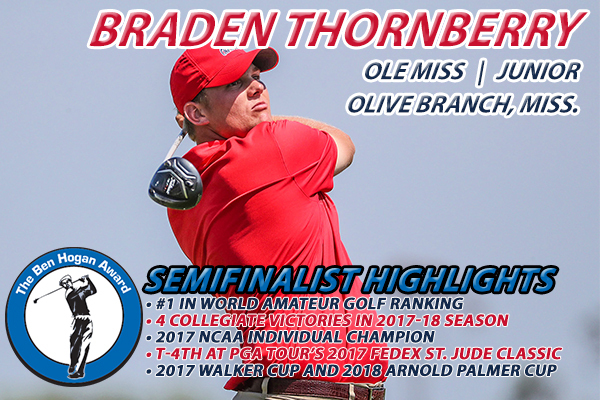 Recorded top-10 finishes at the 2016 Monroe Invitational (T-3) and Trans-Mississippi Amateur (T-8). 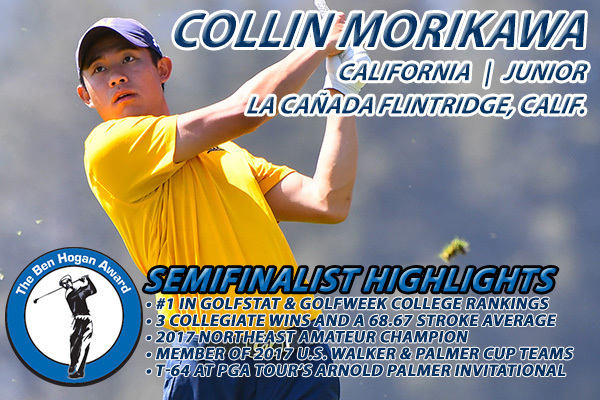 Finished tied for 15th at the 2016 Canadian Amateur. 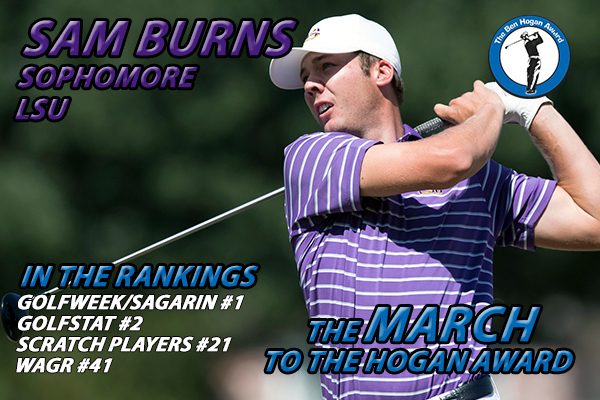 Owns a 69.81 scoring average over 27 collegiate rounds this season, with 13 rounds in the 60s. 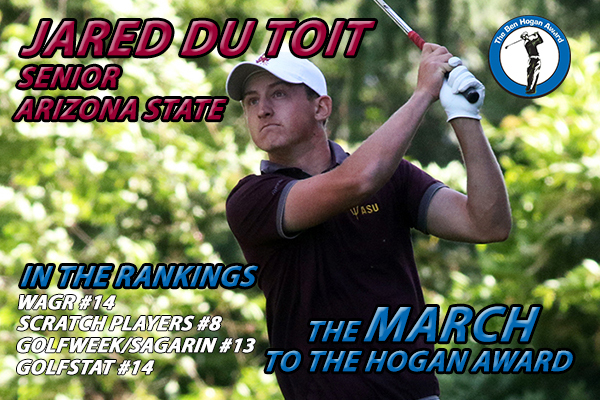 Has a pair of collegiate victories this spring, winning the Amer Ari Invitational and the Prestige at PGA West. 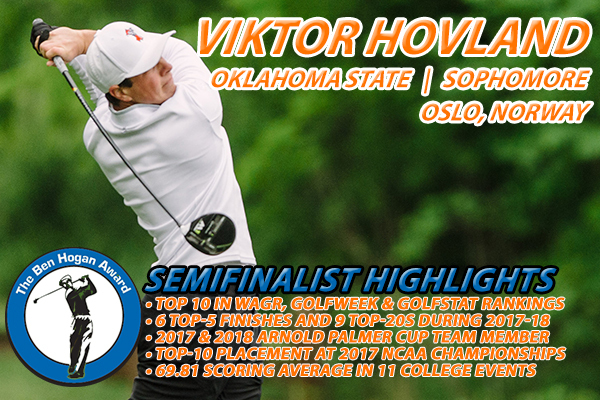 Has eight top-15 finishes in nine college events after a tie for third at the prestigious Southern Highlands Collegiate.